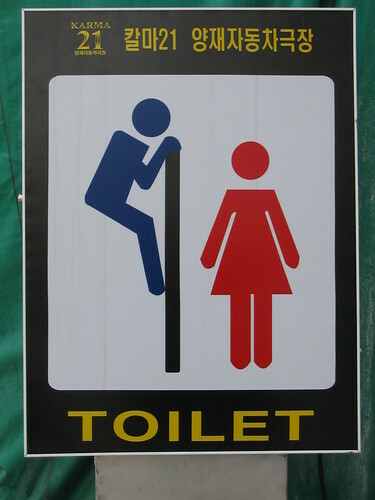 A sign I spotted outside a toilet in Seoul. Can someone please explain what this is all about? April 2005.